As you may have heard, season six of When Calls the Heart was pulled off the air and the remaining episodes of the season were “retooled” to edit out Lori Loughlin’s character (following Loughlin’s involvement in a college admissions scandal). Some fans were worried that the series would be cancelled but that’s not the case. On Wednesday, Hallmark announced that season six of When Calls the Heart would resume on May 5th. Now, Hallmark has revealed that the series has been renewed for a seventh season. You can read about it below. #ICYMI! #Repost @hallmarkchannel ・・・ #Hearties, we have a very special message for you: When Calls the Heart is returning Sunday, May 5 and Monday, May 6 at 8pm/7c with a special two-night back-to-back premiere event! ❤️ And that’s not all! Join us this Saturday for another BIG WCTH announcement during the #SpringFever premiere of #BottledWithLove beginning at 8pm/7c. We’re so thrilled to be returning to Hope Valley with all of you! #Repost @hallmarkchannel ・・・ #Hearties, @erinkrakow has some incredible news to share… When Calls the Heart has been renewed for Season 7! 7️⃣ ❤️ Don’t miss the return of Season 6 with a special two-night back-to-back premiere event on Sunday, May 5 and Monday, May 6 at 8pm/7c. We can’t wait to return to Hope Valley with you! What do you think? Do you like the When Calls the Heart TV show? Will you be watching season seven of this Hallmark series? 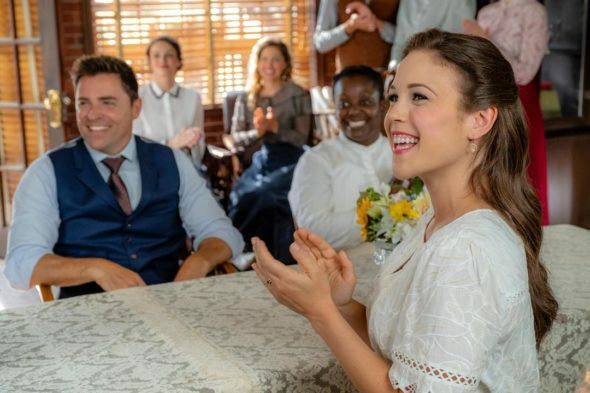 When Calls the Heart: Cancelled or Renewed for Season Seven on Hallmark? When Calls the Heart on Hallmark: Cancelled or Renewed for Season Six? I am so looking forward for When Calls the Heart to come back. I love this show. I will miss Lori very much. She did something that was wrong. But don’t we all make mistakes. ?I can’t wait for the show to return. YES…I will be watching this season and next season. I’m SO excited to have it continue. Such as awesome show!!!!!!!! !